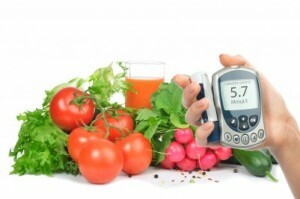 If you have Type 2 Diabetes, you know how important it is to keep your blood sugar levels under control. Kidney damage or failure, damaged blood vessels resulting in amputation of limbs, blindness, heart attack and stroke are some of the complications that can arise from too much sugar in the blood. New studies have also shown that people with Type 2 Diabetes are at a higher risk for certain types of cancer such as liver, pancreas, colon, uterus, breast, and bladder; and the risk is even higher for thyroid, esophagus, kidneys, and cancers of the nervous system and small intestine. The good news is that by arming yourself with this knowledge, you CAN make healthy lifestyle choices that put you in control of your diabetes. Here are some ways you can maintain healthy blood sugar levels naturally and strengthen your immune system to lower your risk for cancer. Lose as little as 7% of your body weight. Exercise for at least 30 minutes, 5 days per week. Eat a balanced diet of fresh fruits and vegetables. Get regular cancer screenings as recommended by your doctor. Adding lemon to foods can help lower glycemic index. Chillies have vitamins and antioxidants that may help regulate insulin. Fiber in nuts and beans regulate blood sugar and provide slow burning energy. Foods that contain chromium help regulate insulin and blood sugar. Try broccoli, garlic, onions, and tomatoes. Newer studies have found sprinkling cinnamon on your food may help regulate blood sugar. Maintaining a healthy diet, exercising regularly, and getting adequate sleep all contribute to a strong immune system. Additionally, supplementing your diet with Vitamins A, B2, B6, C, D and E have been shown to have a positive effect on the immune system, as does taking Zinc and Selenium. By strengthening your immune system naturally, you will fortify your body’s natural ability to ward off disease. Optimal health is a balance of a calm mind, healthy body, and peaceful spirit. Take time for exercise and relaxation, as well as quiet time in prayer and meditation. Practice deep breathing or go on a nature walk to let go of the day’s stresses. Remembering that we are never alone, we can do all things through Him who give us strength. God has a perfect plan and purpose for everything that enters our life, what the world meant for evil God meant for good. Our life journey is at times challenging, but only in the challenge is the victory attained- and the victory brings freedom from the fear and doubt that try to hold us captive. You will know the Truth and the Truth will set you free.